Aaron Snow is a friend of Jonathan's from college, who lived in our old townhouse right after they graduated, and is a photographer in Oklahoma City. He brought his lovely family to Memphis this past weekend to visit and took some wonderful photos of our little treasure. SO don't want this to come out the wrong way, but--were you not terrified that she might roll & fall? this is a silly logistical question because really the fact of the matter is that this is the best picture ever. 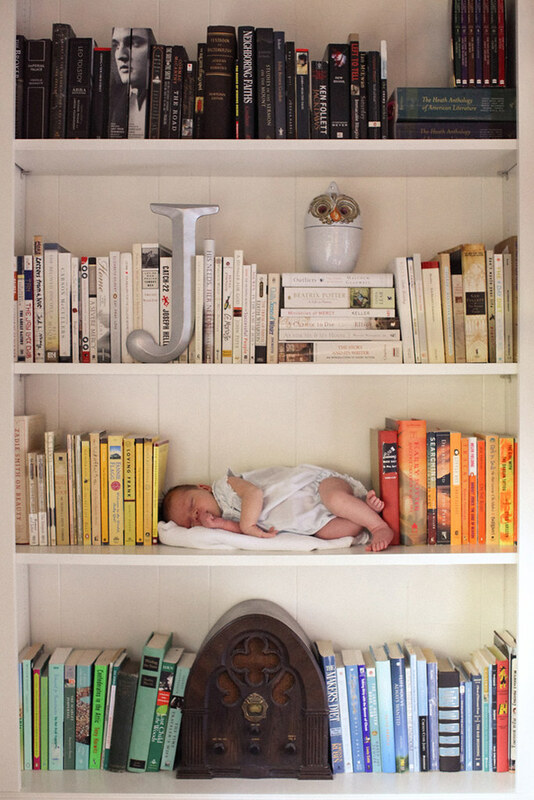 This makes me want to both color coordinate my bookshelves and have a baby. Both daunting tasks!